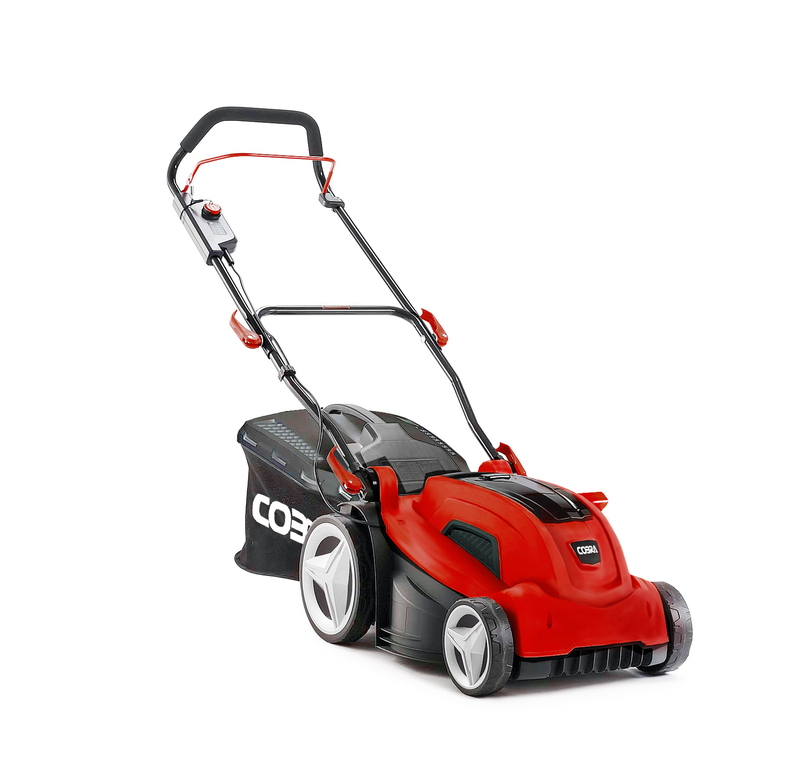 A cordless lawn mower from Cobra supplied complete with battery and charger. Representing great value, this model comes with Samsumg's 40V 4.0 Ah Lithium-ion battery, allowing up to 1.25 hours of use from a single charge courtesy of the latest technology. The charger is also included, so you have everything you need to get started. A collecting, push-powered model, the MX3340V is one of the easiest mowers out there to work with. You can adjust between five cutting heights using a single lever, for use all-year-round. The grass bag is made of robust fabric that gives an excellent flow of air, with a capacity of 35 litres. Complete with 2 years domestic warranty. Cutting Width: 34 cm / 13"